Trick question, sort of, especially for those unfamiliar with a certain movie version of a certain book. It's actor Anthony Hopkins and he's no bookman (quite the reader, though ), but he did play one in a favorite movie among antiquarian booklovers--84 Charing Cross Road. The 1987 movie was adapted from the 1970 book by Helene Hanff, which chronicled the correspondence between Hanff, a New York writer and lover of English literature and the London bookseller, Frank Doel, who supplied her with the books she discovered she wanted. 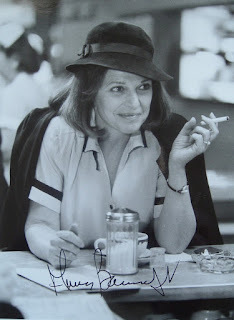 This picture of Hopkins playing Doel is on a theater lobby card that also features Anne Bancroft in the role of Helene Hanff. 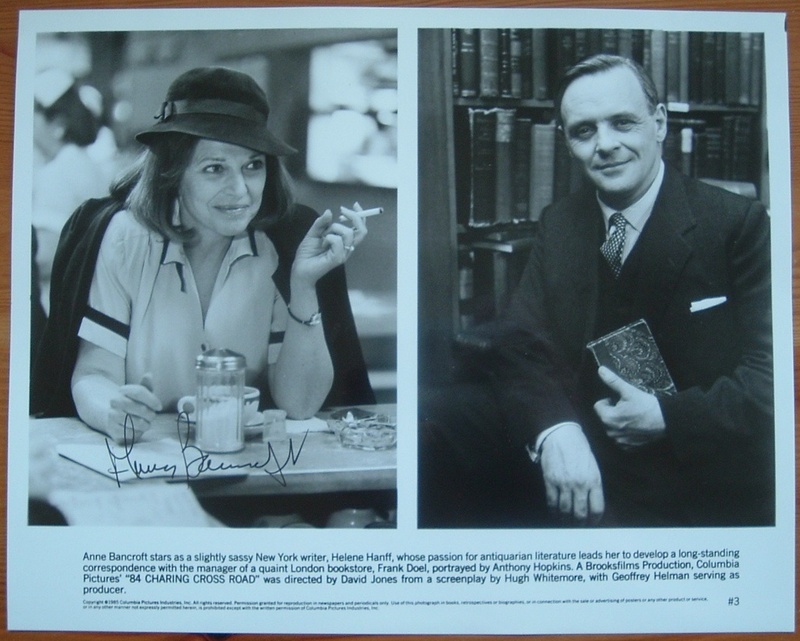 Bancroft signed her photo so now I have the signature of the actor who played Helene Hanff to go along with the signature of Helene Hanff. This photo is cropped from the photo below that features a page from a 1922 issue of the once popular, long-defunct Italian publication L'Illustrazione Italiana. UNA NUOVA INIZIATIVA PER LA DIFFUSIONE DEL LIBRO proclaims the title at the top of the photo, or, in English (as best I can tell), A New Initiative for Distributing Books. I assumed at first this early bookmobile in Firenza (Florence) must be affiliated with a local library. Translating the caption below the photo and researching clues within it, I learned otherwise. "The truck bookstore of the publisher Treves and of the anonymous Italian books , photographed in Florence during its inaugural journey." Treves, in the photo's caption, refers to Emilio Treves (1834-1916), the founder, editor, and publisher of L'Illustrazione Italiana. A Web site for library archives housing a portion of Treves' papers in Milan reveals that Treves started his publishing house in Milan in 1861. In 1873, he launched L'Illustrazione Italiana under the name Nuova Illustrazione Universale, renaming it L'Illustrazione Italiana in 1876. 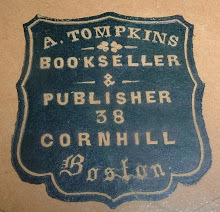 Under that name, and a change of ownership later, the publication enjoyed a good run until the 1960s. 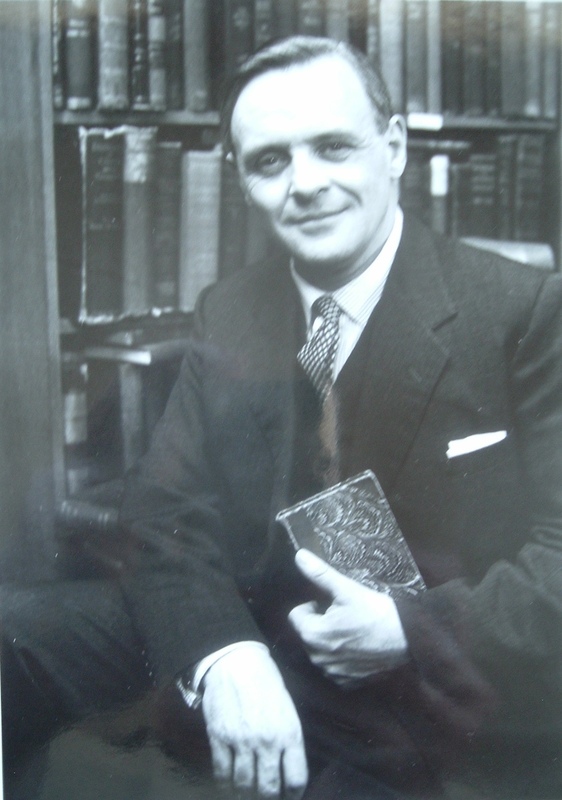 As Treves' periodicals developed a reputation of world culture, he decided to extend his business to book publishing on a variety of cultural subjects. The bookmobile pictured above in its first venture on the streets of Florence, was an innovative use of early automobile transportation to distribute those books to various markets outside of Milan. Deviating a bit from the subject of this post, I encountered during my research an artist, Janelle Randall Kroner, who had created a master copy of a painting of Treves, by Vittorio Corcos (1907). With her kind permission, I thought I'd include a copy here to accompany my page from Treves' most popular publication. And you can always click one of the links above to Ms. Kroner's site and view her portfolio of selected works, which contrast noticeably in subject and color to her black and white painting of Treves. The old Italian publisher, a fine subject, does stand out in that crowd! 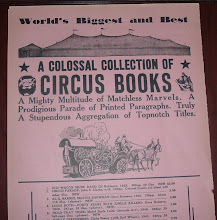 Emilio Treves, who died in 1916, was not around to witness the advent of his firm's bookmobile, or truck bookstore, but a photographer was on hand to record this historical marketing event for the publisher. Naturally, and fittingly, the photo appeared in an edition of Treves' L'Illustrazione Italiana. This panoramic postcard from Napoli bookseller, Emil Prass, folds out to a length of 11 inches. The reverse side, when folded on the image, has one blank side for a written message and the other side formatted for an address and postage. I date it to the early 1900s, as I have found examples of Emil Prass imprints for various books published between the late 1890s and early 1900s, which establish Prass at the address on the postcard and in that time period. Those books dealt with local and regional history about places such as Naples, Pompeii, and Capri. 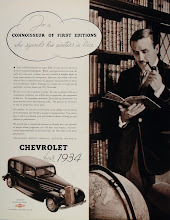 As the print ad in the lower corner indicates, Prass was an international bookseller, but most of the books he published, that I found, are in the English language. His book shop's address is given as Piazza dei Martiri, 59-60 and Via Chiatamone, 5. 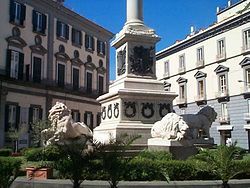 The Wikipedia page for Piazza dei Martiri has a photo of how it looks today (above) and Google Maps Street View (below) offers another perspective. Researching Prass, I found indications that he succeeded another bookseller at the same location--Friedrich Furccheim, who also published local and regional histories and guides. It's curious that both Furccheim and his successor, Emil Prass, appear to have been German and selling books in various languages out of a Naples (Napoli), Italy book shop. Perhaps Prass was a family member or friend from Germany and apprenticed for Furchheim before taking over the business. Having just visited Naples last fall, I was interested to see if any of my photos captured the same landscape coming into port. A few did and the comparisons below reveal the expected changes in the skyline more than a century later, but the topography is easily recognizable. Alas, riding around Old Napoli, none of my photos captured Piazza dei Martiri, 59-60. 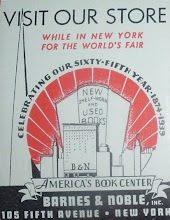 Perhaps another postcard depicting the old book shop awaits discovery.